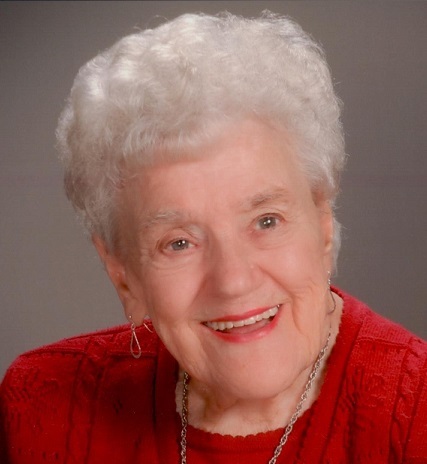 Edna “Ruth” Alleman, 89 of Pleasant Hills in Pittsburgh, Pennsylvania, passed away on Friday, June 22, 2018. She was born October 27, 1928 in Lower Burrell, Pennsylvania 1 of 11 children of Daniel Joseph and Anna (Mayer) McCullough. Ruth worked at Westinghouse in East Pittsburgh, Pennsylvania and at J.C. Penney in Century III Mall in Pleasant Hills. She enjoyed bingo, bowling, gardening, crossword puzzles, reading, and was a fan of the Pittsburgh Steelers. In addition to her parents she was preceded in death by her husband, Eno “John” Alleman and 9 of her siblings, Regene Bray, Daniel McCullough, Terrence McCullough, Dorothy McCullough, Kathlyn Vasser, Thurles McCullough, Eileen Fox, Marilyn Kovalik and Robert McCullough. She is survived by her 2 children, Kevin (Pat) Alleman of Kentucky and Maureen (Jim) Laffey of Carnegie, Pennsylvania; 2 grandchildren, Ryan and Meghan Alleman; a sister Dolores Graham and many nieces and nephews. Friends will be received in the Stephen D. Slater Funeral Home 1701 Route 51 (Large) Jefferson Hills, Pennsylvania (412-384-0350) on Monday, June 25, 2018 from 3 – 8 PM. There will be a prayer in the funeral home on Tuesday, June 26, 2018 at 9 AM followed by a Mass of Christian Burial in St. Thomas A’Becket Catholic Church at 10 AM, Father Daniel Maurer will Celebrate the Mass. Her burial will follow in Jefferson Memorial Park Cemetery in Pleasant Hills.